Learn this crochet essential with our step by step tutorial. The slip stitch will hold no more secret for you! 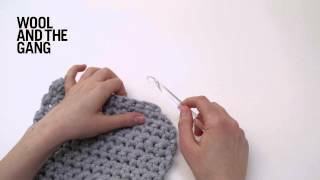 Crochet slip stitch is one of the foundation stitches of crochet. In this step by step tutorial we will show you how to create a slip stitch, as well as illustrate a few of its most common uses. Slip stitches are an important still for all crocheters to learn, from beginner to advanced. Good your yarn and crochet hook ready? Good, let's go! The first thing you to is to insert your crochet hook into the next stitch. Move the hook under and then over the yarn. Scoop the yarn with the groove of your hook, and pull it back through the stitch. What you need to do now is super important. You need to pull your crochet hook through the actual stitch of your project AND the loop on your hook. By doing this, you now have a single loop on your hook. This is the slip stitch! Well done, hope that wasn't too scary. Now, the next steps depend on your pattern. If you need only make one slip stitch, you're done. If you need to make a whole row of slip stitches, then carry on repeating these instructions to the end of the row. Another very useful technique is using the slip stitch to joining a foundation chain, when working in the round. 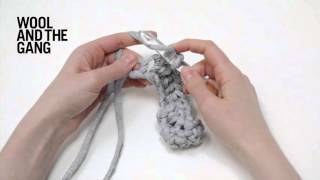 It's a technique you're likely to come across in crochet patterns so also very useful to learn. Simply follow the instructions above, the key to the slip stitch is ensuring that your hook goes through both the stitch and loop in one go. 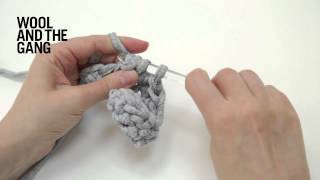 You can also use the slip stitch technique for joining your rounds when working in tubular crochet. We hope you had fun learning this stitch and it wasn't too stressful. If you have any questions always feel free to get in touch with us and we'd be happy to help.